HAHAHA! 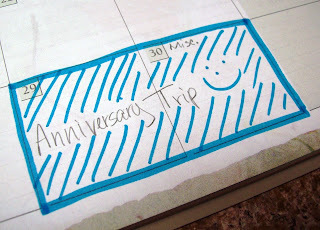 G and I are going on a trip this weekend too - for our anniversary! Friday the 29th makes 5 years married - we're spending thurs-sat camping at Yosemite.